He was nicknamed "The Tornado" for his signature wind-up delivery that increased the speed of his pitches, but that moniker would also aptly describe pitcher Hideo Nomo's legacy in Japanese baseball. Before him, players in Japan's top-tier Nippon Professional Baseball (NPB) leagues could only move to the United States' Major League Baseball (MLB) as free agents after playing nine seasons, a point at which many would be past their prime and no longer wanted by American teams. In 1995, Nomo swept away the status quo when he exploited a loophole in his contract to sign with the Los Angeles Dodgers, becoming the first Japanese-born player to turn out for an MLB team in 30 years. Instead of being celebrated, he was initially vilified by the Japanese public as a traitor but the tide of opinion quickly shifted as he produced a series of eye-catching performances. In his first season, he led the MLB in strikeouts, was named in the All-Star team and was named Rookie of the Year. He played for seven MLB teams before retiring in 2008. He was inducted into the Japanese Baseball Hall of Fame in 2014. Speaking no English when he arrived in the US may have been a challenge but he was determined to succeed. His single-mindedness was evident. In a 2015 interview with website Dodger Insider, he recounted: "It was dark when I arrived in Dodgertown for the first time and all I could see were the baseball fields and lodging facilities. "I thought to myself: there is nothing to do here except to play baseball." He eventually formed an unlikely friendship with Mexican team-mate Ismael Valdez, a fellow pitcher. "We didn't speak very much but we managed to communicate through our sign language and it was just nice to have someone there with me as a friend," said Nomo. While his on-field exploits were noteworthy, his impact was also felt back home. In 1998, the posting system was created that allowed NPB players to bypass the nine-year rule. During my time it was very difficult to move to the major leagues as a free agent. It's easier now, but I hope the process can be simplified further in the future. 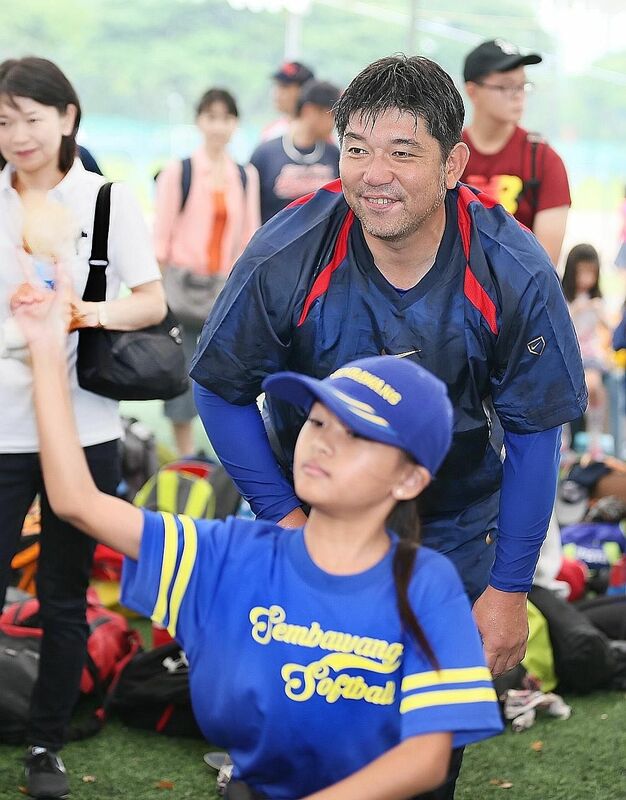 HIDEO NOMO, retired Japanese baseball player, advocating for the ease of his compatriots moving to other leagues. Since then, numerous Japanese players, including the likes of MLB legends Ichiro Suzuki and Hideki Matsui, have joined the MLB. Highly-rated pitcher-outfielder Shohei Otani, 23, is the latest star set to make the leap but his move has been clouded by uncertainty related to disagreements with the MLB and NPB. With baseball returning to the Olympic roster for the 2020 Tokyo Games while remaining one of the most popular sports in Japan, it was no surprise that Nomo hoped more could be done to ensure such administrative obstacles would not hold back Japanese players trying to raise their levels. "During my time it was very difficult to move to the major leagues as a free agent," he said. "It's easier now, but I hope the process can be simplified further in the future."